The stock price for Hardide Plc EPIC code: LON:HDD has climbed 3.57% or 0.05 points during the course of today’s session so far. Market buyers have stayed positive during this period. The periods high has reached 1.45 and hitting a low of 1.45. Volume total for shares traded during this period was while the daily average number of shares exchanged is 217,676. The 52 week high is 2.3 amounting to 0.9 points difference from the previous close and the 52 week low at 1.25 which is a variance of 0.15 points. 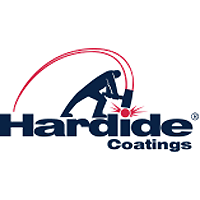 Hardide Plc now has a 20 simple moving average of 1.35 and now its 50 day moving average at 1.38. The current market cap is £24.62m at the time of this report. The currency for this stock is Great British pence.Market cap is measured in GBP. This article was written with the last trade for Hardide Plc being recorded at Tuesday, January 22, 2019 at 11:59:00 AM GMT with the stock price trading at 1.45 GBX. 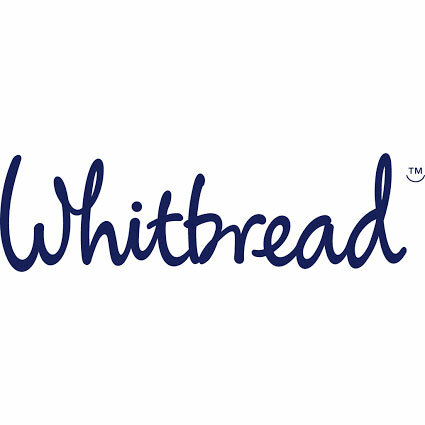 Shares of Whitbread plc EPIC code: LON:WTB has risen 1.79% or 87 points during the course of today’s session so far. Traders are a positive bunch during this period. Range high for the period so far is 4949 and hitting a low of 4842.4. The total volume of shares traded by this point was 122,217 whilst the daily average number of shares exchanged is just 620,227. A 52 week high for the stock is 5002 which comes in at 147 points in difference on the previous days close and a 52 week low being 3606 is a variance of 1249 points. Whitbread plc now has a 20 moving average of 4797.5 and now its 50 day MA at 4670.33. Market capitalisation is now £9,070.93m at the time of this report. The stock is traded in GBX. Mcap is measured in GBP. This article was written with the last trade for Whitbread plc being recorded at Tuesday, January 22, 2019 at 11:59:59 AM GMT with the stock price trading at 4942 GBX. Stock in Halma plc ticker code: LON:HLMA has moved up 1.21% or 17 points during today’s session so far. Traders are a positive bunch during the session. The periods high figure was 1424 and hitting a low of 1400. The number of shares traded by this point in time totalled 225,764 with the average number of shares traded daily being 1,044,560. A 52 week high for the stock is 1507.97 which is 100.97 points difference from the previous close and the 52 week low at 1136 a difference of some 271 points. Halma plc now has a 20 simple moving average of 1391.19 and a 50 day moving average of 1362.17. Market capitalisation for the company is £5,406.15m at the time of this report. All share prices mentioned for this stock are traded in GBX. Mcap is measured in GBP. This article was written with the last trade for Halma plc being recorded at Tuesday, January 22, 2019 at 11:59:37 AM GMT with the stock price trading at 1424 GBX. Shares of Informa PLC found using EPIC: LON:INF has moved up 1.69% or 11.4 points during today’s session so far. Traders seem confident while the stock has been in play. The periods high has reached 690.51 dipping to 674.09. The total volume traded so far comes to 1,166,788 while the average shares exchanged is 4,470,201. The 52 week high is 869.6 about 193.2 points in difference on the previous days close and a 52 week low being 602.8 is a variance of 73.6 points. Informa PLC now has a 20 simple moving average of 644.66 and now its 50 day SMA of 677.43. This puts the market cap at £8,609.87m at the time of this report. The share price is in Great British pence. Mcap is measured in GBP. This article was written with the last trade for Informa PLC being recorded at Tuesday, January 22, 2019 at 11:59:19 AM GMT with the stock price trading at 687.8 GBX. 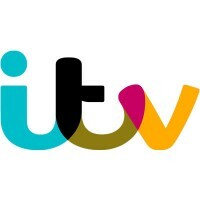 Stock in ITV plc ticker lookup code: LON:ITV has climbed 1.5% or 2 points during today’s session so far. Market buyers seem confident throughout the session. The high for the period has reached 136.45 while the low for the session was 132.8. The total volume traded so far comes to 3,049,628 with the daily average number around 15,297,436. The 52 week high is 183.1 equating to 49.4 points difference from the previous close and the 52 week low at 121.5 a difference of some 12.2 points. ITV plc has a 20 SMA of 132.77 with a 50 day SMA of 139.13. The current market cap is £5,462.48m at the time of this report. All share prices mentioned for this stock are traded in GBX. Mcap is measured in GBP. This article was written with the last trade for ITV plc being recorded at Tuesday, January 22, 2019 at 11:59:33 AM GMT with the stock price trading at 135.7 GBX. The stock price for J Sainsbury plc ticker lookup code: LON:SBRY has increased 2.6% or 7.1 points throughout the session so far. Market buyers have remained optimistic during the session. The high for the period has peaked at 280.3 dropping as low as 271.5. The total volume of shares traded by this point was 3,122,156 whilst the daily average number of shares exchanged is just 9,521,800. A 52 week high for the stock is 341.8 around 68.8 points difference from the previous days close and the 52 week low at 224.7 which is a variance of 48.3 points. J Sainsbury plc has a 20 day moving average of 271.91 and now a 50 day moving average at 290.86. The market capitalisation is now £6,169.23m at the time of this report. The currency for this stock is GBX. Market cap is measured in GBP. This article was written with the last trade for J Sainsbury plc being recorded at Tuesday, January 22, 2019 at 11:59:59 AM GMT with the stock price trading at 280.1 GBX. Click HDD HLMA INF ITV SBRY WTB for the full archive.